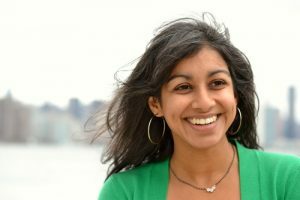 Sonali P. McDermid, an Assistant Professor in the Department of Environmental Studies at New York University, will give a brief keynote and join the panel for Indie Green: A Conversation about Ecological Practices and Values within the NYC Independent Theater Community to give a global, environmental perspective to local green practices. My research interests revolve around understanding the interactions between human landuse and climate change, specifically related to food production and systems. I'm concerned about how climate change may impact regional food systems around the world, but also how food production and landuse can impact the environment. Understanding this better can hopefully pave the way to smarter, more responsible modes of food security. What excites you most about potential points of intersection between theater and science? I think what excites me most is the way that theater can tackle difficult, and emotional, topics related to (climate change) science, and create a venue in which we can communicate with each more effectively and more compassionately. Why is greener and more sustainable independent theater important? Greener and sustainable theater is important, just as greener and sustainable everything is important! Particularly in theater, if you're going to address big issues like climate change, it's important that you embody these values and characteristics in practice just as in performance. Credibility is important, alongside being more responsible in production. When discussions of global environmental change become upsetting and overwhelming, what gives you hope when looking toward the future? Hope is important, but I think what drives me is more the pursuit of result, a better future, a legacy, and the "inevitability of tomorrow". The sun will rise tomorrow, and we will still be here despite all our problems. We need to dig deep for the courage, fight, and desire to push on and find meaning. I'm really not sure if things will get better, and I'm not quite sure what "better" means (more money? more development? ), but I feel an obligation to make sure that I don't contribute to things getting any worse. Sonali P. McDermid is an Assistant Professor in the Department of Environmental Studies at New York University. She holds a Ph.D. (2011), an M. Phil. (2011) and an M.A. (2009) focusing in Atmospheric Science and Climatology from the Department of Earth and Environmental Science, Columbia University, and a B.A. in Physics from New York University (2006). Previously, she was a NASA Post-Doctoral Researcher at the Goddard Institute for Space Studies (GISS) in New York City, and conducted much of her work through the Agricultural Model Intercomparison and Improvement Project (www.agmip.org), which is undertaking integrated assessments of climate change and food security in South Asia and Sub-Saharan Africa. She continues her work with AgMIP, and also uses the NASA GISS global climate model to investigate global and regional climate-land surface interactions, and the impact of climate change and altered sea surface temperatures on the South Asian Summer Monsoon system. Her work has appeared in Climate Dynamics, Paleoceanography, and Global Change Biology, and she presents annually at major conferences, such as the American Geophysical Union Fall meeting.